The buzz at the yacht club or the watering spot is often about ‘Where?’ Where does so-and-so catch those prize-worthy sea bass or cod or blackfish? From experience, I can say that in a lot of cases, the top-secret location is a shipwreck, maybe close by, overlooked by many that run over it every day … or one many miles offshore — a big gas burn to be sure, but, to some, absolutely worth the effort. If the location of a wreck is the equivalent of a hot stock tip, where does one acquire the bearings for these watery gold mines? Many coastal tackle shops sell charts with wreck numbers on them. The good news is some of the numbers are accurate; the bad news is many other like-minded boaters have the numbers, often visiting the site during the week, catching the fish before you arrive on a Saturday morning. Timing is critical. A spell of bad weather can cause fish to build up on a local wreck, offering better fishing for the first boat on it. Another point not to be ignored about wreck charts is that some of the numbers are false, so it’s wise to get a second opinion from a knowledgeable source before running 40 miles offshore. Recently, I saw a chart that had a GPS number for a wreck sunk in the 1920s listed as a productive fishing site. The problem is the wreck was raised, the effort well-documented in at least one book and several newspaper articles. Such sites are obviously useless. Beyond sunken ships, several states are active in creating artificial reef programs, including publishing accurate numbers of all the sites they have created. New Jersey, for instance, since 1984 has been dumping old ships and barges, subway cars, concrete and steel demolition debris and dredge rock on its coastal bottom. The Garden State publishes a wonderful, full-color booklet of the dozens of sites created for small boaters from Sandy Hook down to Cape May. New England states don’t have anything close to it because all six New England states combined have minimal reef-building programs. For those in Southern New England, I suggest keeping an eye on the fishfinder while crossing Long Island Sound for lunch or cruising on vacation. Any “bump” can be noted and inspected later. Many of Southern New England’s once-famous cod wrecks, like the Quarter Moon or Meatloaf, were found watching a fish finder in transit. The latter spot got its nickname from the fact the skipper was eating a meatloaf sandwich when he ran over the spot. A party boat friend of mine fished the spot in its glory years and landed cod by the hundreds. If you catch a sea bass on a fluke rig while drifting over what you thought was sandy bottom, note the position on your plotter and research it when you have the time. Sea bass hang around structure of some kind, which might be down there and unmarked on a chart. Lobster pot buoys are often set around structure like the many rock piles off Misquamicut and Weekapaug, R.I., all spots usually good for big porgies, sea bass, blackfish and sometimes blues or striped bass. 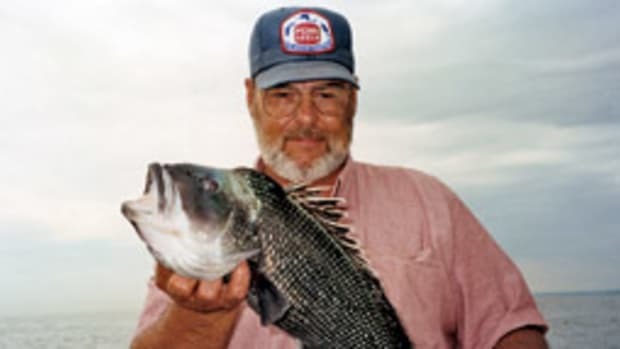 A friend of mine stopped on the wreck of a big coal barge off Watch Hill, R.I. to find 12-pound blues taking his diamond jigs tipped with squid, not sea bass. Perhaps the best way to locate “unknown” spots is to ask around your circle of friends, seeing if anyone knows someone who used to, or still runs a commercial fishing boat. When commercial fishermen drag their nets along the bottom, they encounter all manner of obstructions like wrecks, rocks and just junk that somehow made its way to the ocean floor. Retired captain Joe Rendeiro of Stonington, Conn., told me that on more than one occasion he entangled his gear so solidly in junk in the deep water off Shinnecock, N.Y., that it had to be cut out off with a torch. As commercial fishermen encounter “hang-ups” on the bottom, they record the spots either in books or electronically, avoiding them in the future. If approached openly, politely and honestly, some will share some of the numbers with you. Some will let you copy their whole book of hangs, as was the case with Capt. Joe. His offshore book of numbers provided any number of cod spots, some of them producing stellar fishing in places like the Nantucket Lightship and Great South Channel. Now for the bad news: books get old, especially those from retired captains, so that means you must search around the “hang” working LORAN code versus GPS coordinates, requiring a mathematical conversion that sometimes results in a certain loss of accuracy. That means you might have to search around a bit before locating that bump on the bottom. More bad news comes into play with the fact that you don’t know how much cable was between the boat and the bottom gear when it struck the obstruction. 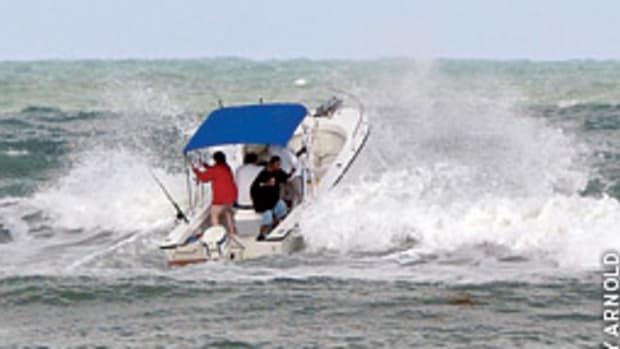 Was the gear 300 feet behind the moving boat or was it 500 feet if the hang was in deeper water? These facts often require a slow, steady search around the number, often taking an hour or so to “mow the lawn,” covering all bottom within, say, a 300-foot box around the suspected site. I know one party-boat captain from Ogunquit, Maine, who covers a mile around a suspected hang. This is work that requires patience. Some skippers make it a point to tell their buddies to relax for a bit and take the first 30 minutes of each day to look for a new spot. If they find nothing on a suspected hang number (a common occurrence), they then head off to the fishing grounds. Wreck hunting isn’t for those who want instant gratification. It requires patience, time, hard work, gas dollars and more patience. But those that stick with it are often the ones whose names are called in late winter at the club dinner, rising to the applause of their peers, taking home another trophy for a big fish caught on a shipwreck. 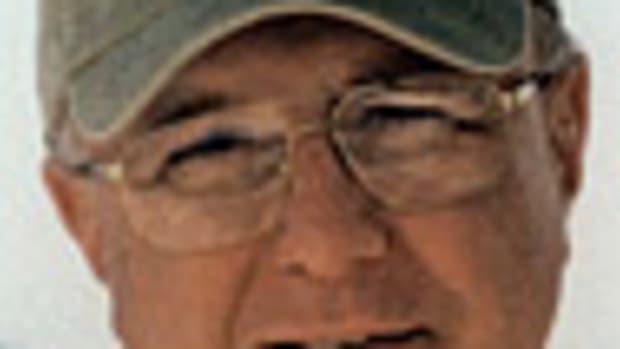 Tim Coleman has been fishing New England and Long Island waters for more than 30 years. 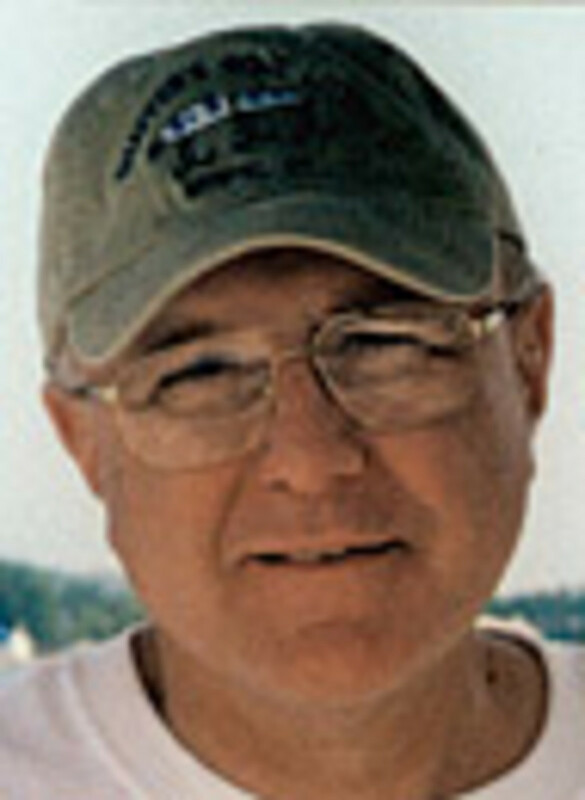 He was managing editor of The Fisherman magazine’s New England edition until 2001, and is now a freelance writer based in Rhode Island.